Get ready to celebrate the 30th anniversary of Star Wars with the sixth scale centerpiece you’ve been waiting for. Sideshow Collectibles are releasing a limited edition deluxe sixth scale figure of Darth Vader based on his appearance in Star Wars Episode VI: Return of the Jedi that is nothing short of exceptional. At this time Sideshow have not announced the limited edition numbers but this is a limited release Star Wars collectible. Star Wars fans here’s a heads up. 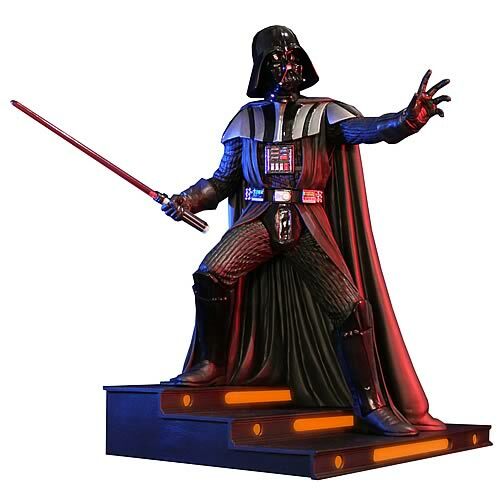 Gentle Giant’s Limited Edition EMPIRE STRIKES BACK Darth Vader Statues are running out. Since it’s a limited edition release of only 900 statues worldwide, you’re going to have to hurry to secure one of these. 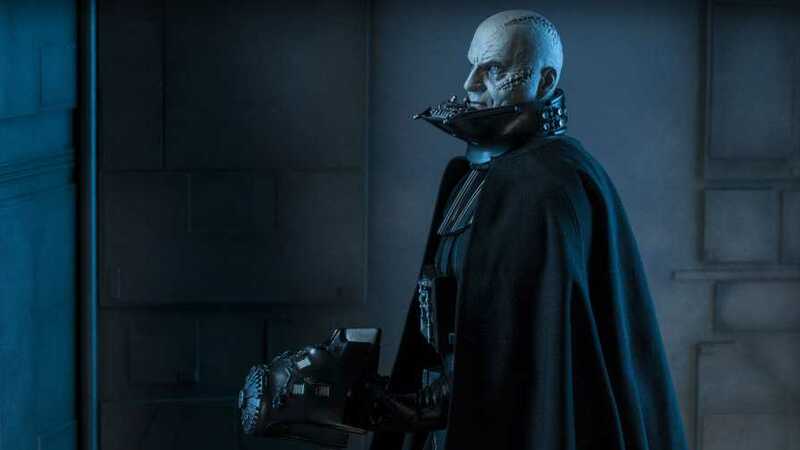 This is an authentic and officially licensed 1:6 scale Darth Vader statue made by scans from film-accurate armor and accessories (sculpted with Lucasfilm reference materials and digital scans). The staircase, inspired by stairs in the Cloud City freezing chamber as seen in The Empire Strikes Back, iluminates with a warm orange glow. Made of durable hard-cast materials it comes boxed with a hand-numbered certificate of authenticity. These are going for an average price of $224.99. 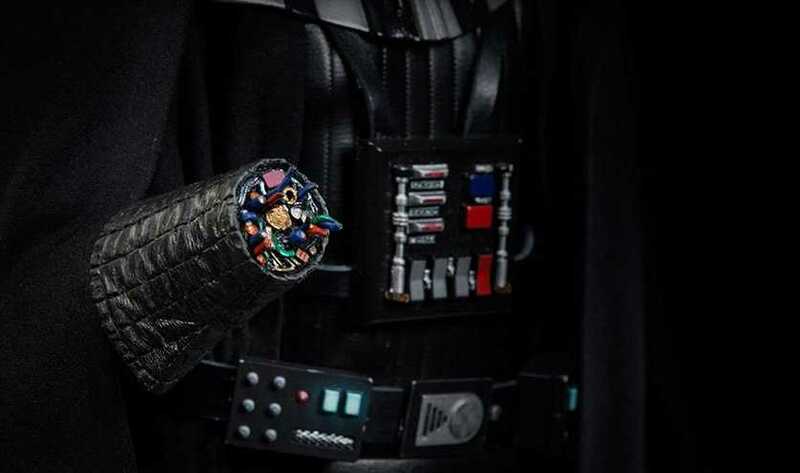 Here’s a collectible no Star Wars fan will want to miss. It’s an officially licensed eFX Collectibles prop replica of Darth Vader’s helmet as seen in Star Wars Episode IV: A New Hope. This is a limited edition item of only 1,000 pieces worldwide. Best of all, this is a wearable Darth Vader helmet. It has a fully lined face mask with adjustable straps and accurate lenses. If you’re not wearing it, the helmet comes with a full-size eFX display base and numbered metal plaque. Constructed in fiberglass, aluminum, and plastic. Features machined aluminum tusks and a metal chin and mouth grills. 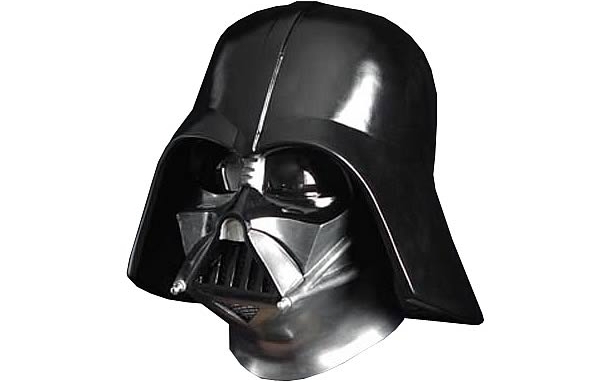 The master pattern for this Darth Vader Helmet Prop Replica was cast from vintage molds in the Lucasfilm archives, which are believed to have been made by none other than Rick Baker from the screen-used Vader helmet back in 1977. What makes this a very special product is that the master pattern is NOT made from a digital scan; it is an actual original casting. This means that this replica helmet has direct lineage to the original and is as true to the actual filming prop as you can possibly get! This helmet may arguably be the most important piece of any Star Wars collection. The original Darth Vader helmet, as seen in Star Wars Episode IV: A New Hope, was sculpted by Brian Muir based on the concept sketches by illustrator Ralph McQuarrie. Even though there were three known castings made from the mold made from Muir’s sculpt, only one helmet was used in the entire filming of A New Hope.